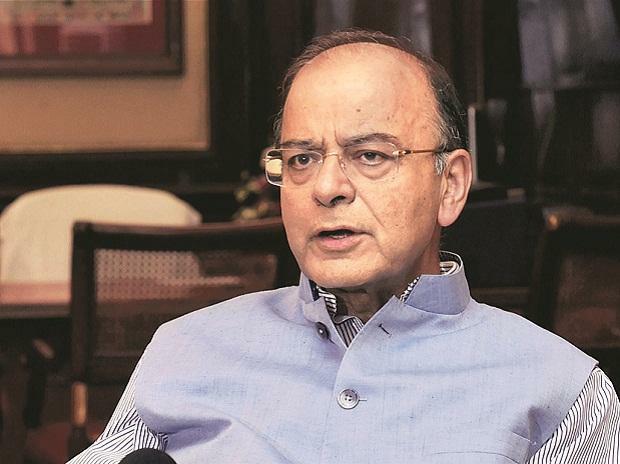 Finance Minister Arun Jaitley is scheduled to address the customary post-budget meeting of the central board of the Reserve Bank on Monday and highlight the key points of the interim Budget, including the fiscal consolidation roadmap. The government expects Rs 28,000 crore from the RBI as interim dividend for 2018-19 based on the financial position of the central bank. Last financial year, the RBI had paid an interim dividend of Rs 10,000 crore to the Centre. The customary post-budget meeting will take place against the backdrop of a slight deviation from the fiscal deficit target for the current financial year, tax rebate for income up to Rs 5 lakh and income support scheme for 12 crore farmers. The government announced the 'Pradhan Mantri Kisan Samman Nidhi' (PM-KISAN) in the budget under which Rs 6,000 per year would be provided to farmers holding cultivable land of up to 2 hectares. The government also decided to increase standard deduction from Rs 40,000 to Rs 50,000 and raised the TDS threshold on interest earned on bank/post office deposits from Rs 10,000 to Rs 40,000. In the Interim Budget, the government has projected a fiscal deficit of 3.4 per cent of the GDP for 2019-20, against the earlier target of 3.3 per cent. The Centre also came out with a roadmap to reduce the fiscal deficit -- the gap between total expenditure and revenue -- to 3 per cent of the gross domestic product (GDP) by 2020-21, and eliminate primary deficit.